Until I languish in distress. What harm alive, to you, was she? That stole my girl away from me. Like those statues made of lead. It was detective Mitchel again who called to tell us the terrible news. My mother was dead. The only mother I ever had. I didn't believe it until I saw Chris. My heart stopped at the sight of him. I was grief stricken, but I couldn't even imagine how he must have felt after what he had gone through and after what he'd seen. I had to be the stronger of us two now just like he had always been for me. I pulled him into my arms and squeezed him in tight hug. His shirt smelled weird and later he told me it was given to him at the police station with a pair of clean pants and shoes, because his own clothes were blood stained and the police took them as evidence. But no matter how his clothes smelled I was grateful they brough Chris back. Losing my mother was a terrible tragedy, but losing Chris too was unimaginable. I held him and promised myself to take care of him and do anything to heal his wounds. We would help each other to recover, I thought. But I was wrong. Despite everything I did, despite everything the rest of our family did, he wasn't the same person. He had always been gloomy, but it never showed so much as now. As if he completely forgot how to smile. 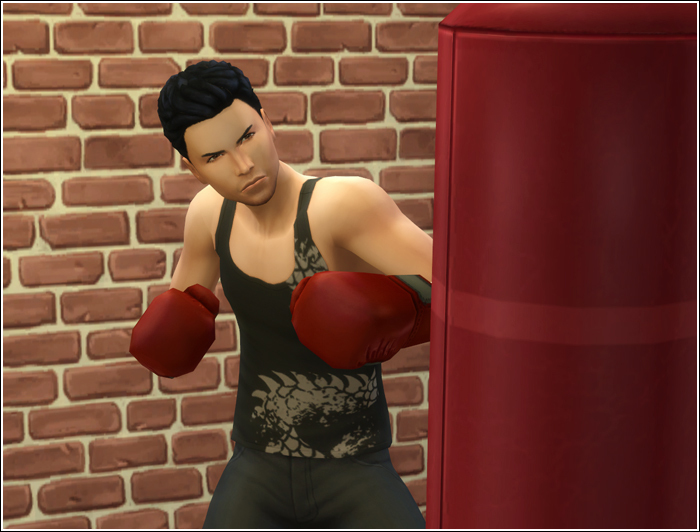 Nothing seemed to catch his interest anymore except hand-to-hand combat and firearms. However, the biggest surprise for me came when we graduated and Chris didn't apply to university with me as we had always planned, but instead chose to join police academy. And so while I was studying biology and chemistry to become a scientist to help people by fighting diseases, Chris was training to become a cop to protect people from criminals. I found it more than a little disconcerting considering who his father was. What if he will have to choose between duty and family one day? ​Speaking of Tony things weren't good between him and Chris. I've never learned the whole truth about what happened in Granite Falls only that Tony was there too. Chris seemed to blame him for what happened to our mom. Tony repeatedly tried to reach out to him, but Chris ignored his texts, his calls even his figure outside the window when he dared to come in person and waited in front of uncle's Brian house. Oh yes, we lived with our uncle for couple of years. Neither of us wanted to return to our old house. Too many memories lingered there. We simply couldn't live there anymore. Although our mother's grave is in local cemetery, people still bring flowers to the gate of the house sometimes to honor her memory. It's the fans of her books mostly. Second book of the Love & Ruin series was published couple of months after mom's death, the third one was still in mom's computer. Mom's agent Lee asked us if we minded her taking the file and finish our mother's work. She promised to do so with great care and respect. From what I heard she kept her promise. Neither I nor Chris had the strength to read the books yet. As the trend is in such cases the sales skyrocketed after our mother's death leaving us with more money than we ever had. We used some of it to have us built a new house in which we moved once Chris turned eighteen. Shortly before his young adult birthday Chris had another surprise for us. He announced he's taking over as the heir. "But what about the vote?" aunt Marissa asked. "It was members of our family who gave the community the right to name the heir. As a member of the said family I've decided to revoke the right." I covered my mouth with a palm of my hand in shock. 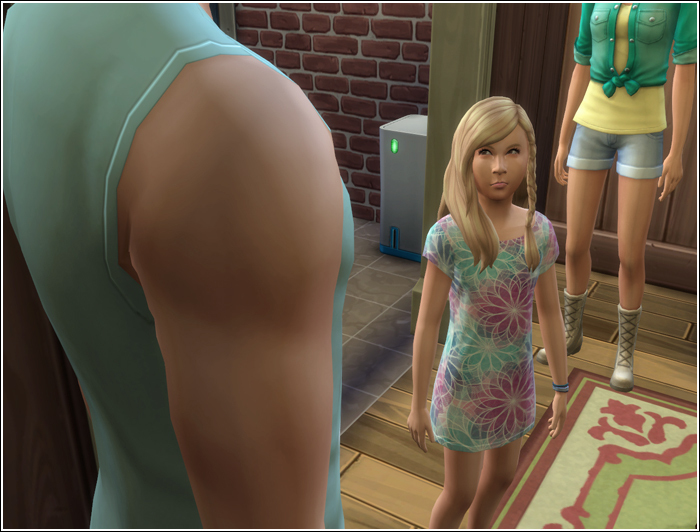 "You can't deny Celeste the heirship, Chris," uncle Brian objected. "There must be a vote." 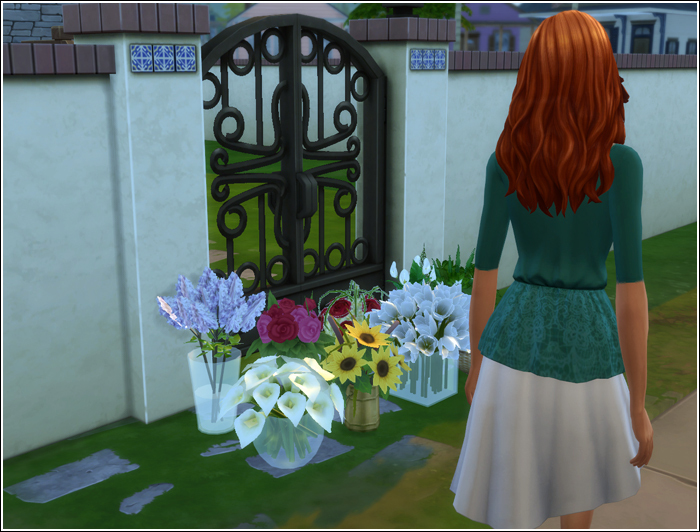 "Celeste didn't get a chance to know our mom and learn about the legacy or the vision mom had regarding the future of Newcrest like I did. I'm more suitable for the task than she is and I'm accepting it and will carry the torch to honor our mother and family name." He said it with such passion that none of us had the heart to argue with him anymore. ​Celeste was still a child and who knows what she will want to do once she's our age? Maybe she won't care about the legacy at all. 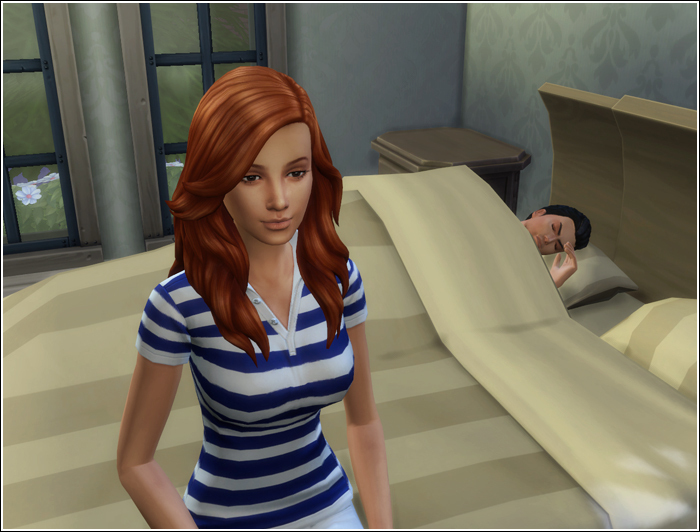 Maybe she will want to pursue a different path and become a doctor like her father. I may have not agreed with the way he assumed the role of the heir but I had always believed it should be him when the time came. ​Chris was doing his best to look strong to everyone, but I knew he still had nightmares about the night he saw mom die. Each time I was there to hold him, to be the beacon of light in the darkness for him. I didn't need to say anything. I just sat there until he fell asleep again, watching him for a while longer to be sure the nightmare wouldn't return the night. I lived. But is it still living when you feel dead inside? My days passed, each of them same as the day before. When I saw a familiar figure on the street with a familiar gait, my heart revived for a moment only to get broken again the next, when the person's face revealed it wasn't my love. I couldn't help myself, despite knowing she was gone, I still kept looking for her in the crowd. My son still refused to talk to me or even look at me. When I was standing half a night in front of his uncle's house in a downpour it was his sister Kellie who came outside with an umbrella and a cup of hot tea asking me to come inside. I politely declined. If my son wasn't willing to talk to me outside he wouldn't talk to me inside either. Eventually she convinced me to go home. "You can't stand here all night, Tony. You'll catch a cold." I didn't tell her I wouldn't mind dropping dead in front of the house if it made Chris hear me out. I couldn't blame him for avoiding me. He was right. I destroyed everything. I bring death to peoples lives, not only to those I'm hired to kill but to those I care about as well. There were two more people to whom I owed a visit, one that was long ovedue. They weren't happy to see me, a fact that I've come quite accustomed to these days. At least I got a chance to introduce myself properly to my second son Ethan. Another son whose life I was not part of. When we exchanged all the necessary pleasantries I was told that more visits from me are not welcome. To be honest that wasn't completely unexpected. I failed this family too. The only thing I could do was to give them my phone number in case they ever needed anything from me and send them large sum of money so that they could move and live safely anywhere they wanted. Some days and especially nights were worse than others. The alcohol somewhat helped me through and there were other substances I swore years ago I would never use. These were desperate times though. It dulled the pain but it also made me see things that were even more frightening than my usual nightmares. Like the other day when the floor of my bedroom and the walls were covered with rotting limbs. They made creepy sounds and were trying to grasp me. My bed was an island in the sea of monsters. I wanted to scream but couldn't make a sound. I have no idea how long it lasted before it all disappeared. That's when she came to me in a cascade of light. "Don't do this to yourself, my love," she said in a sad voice. She looked beautiful as ever. Even in the hideous gown. "What is it you're wearing?" I asked. "Is this what they make you wear? I always thought eternity is a reward not a punishment." I thought of removing the hideous gown and just like that it disappeared. She was standing in front of me wearing nothing but her wings. "Much better. That's how I will always remember you." She crossed her arms. "Is that all you've been doing since I'm gone? Living in the past?" "You have to admit those were the best moments of our lives, Beryl. Just the two of us and no clothes. Remember all the things we did?" The angel sighed and shaked her head. I reached out with my hand to touch her skin. "How real are you? Do you think we could relive those moments? Your boss can watch, I don't mind." "You're high, Tony. And he doesn't need to watch." "No? I would if I were him." "That's one of the many reasons why you'll never be allowed here." "That's a relief considering local fashion." "You have to stop grieving, Tony. You have to take care of my children," she said and started fading away. I found myself on the floor sobbing like a child. Don't go, Beryl. Don't leave me just yet. ​I should have told her something meaningful. I should have told her that I was sorry. I didn't say anything at all before she was gone for good.